And another wonderful piece of art... Beautiful drawing and beautiful hair ! 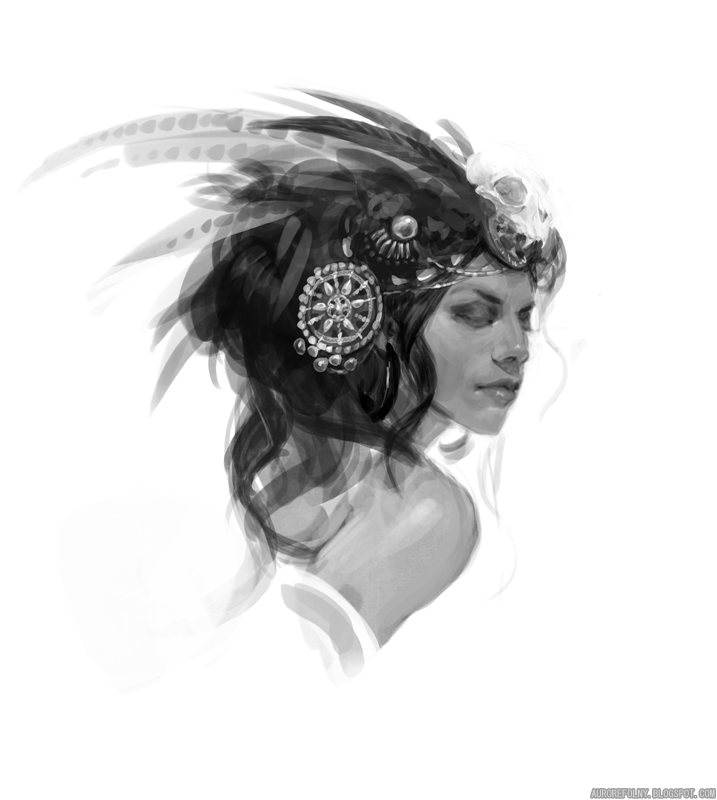 Just a tribal fusion headdress design ! you mean people actually wore these things? i never seen one except in this kind of artistic poses or in pop culture. which culture does it belong to? Actually, it would be a nice tribal fusion bellydance costume ! Go search tribal fusion bellydance on Google, if you like this kind of costume !
" Une belle galerie "